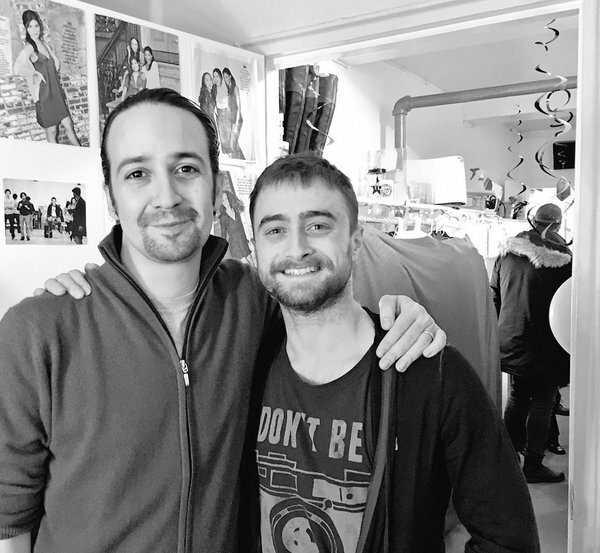 Daniel visited Hamilton the musical on Broadway yesterday and also was backstage to meet Lin-Manuel Miranda. He did share the following photo via Twitter. 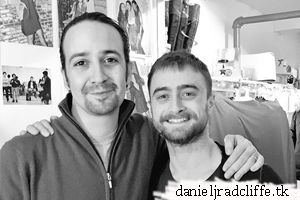 While Daniel was backstage he predicted which Hogwart's house he thinks Alexander Hamilton would belong to. I asked this nice young man how he'd sort Hamilton at Hogwarts. His answer: "Ravenclaw. Definitely."